Bonding over a cup of coffee is a fulfilling experience. A warm cup, a cozy atmosphere, and good company will make you feel at home no matter where you are. In Dallas, Texas, locals serve up some of the best brews with the freshest flavors. Here is a list of some of the best coffee spots that know how to get it right. Over the years Houndstooth has become an integral part of the coffee community in Texas. What began as one small branch with a strong cup of coffee expanded into a chain. The baristas at this café are well-trained to not only serve in a kind and timely manner, but also to provide the best beverage they can to each guest. The name originated from a Scottish legend and has become familiar cross the Dallas metroplex, drawing in people at all times of the day. Since 2011, Oak Lawn Coffee has been serving the greater Dallas area with its well-crafted brews. Each espresso, coffee and decadent pastry is created with the utmost patience and care, in order to serve only the best to customers. To give thanks to the community that has helped shaped the coffee shop into what it is today, 10% of the day-to-day profits are given back to non-profit organizations and other community-building programs. A unique feature about this café is its involvement in the local art community; every month artists are featured and guests can attend exhibitions held on-site. At Ascension, the staff and owners are obsessed with everything about coffee and hope to share that passion with all of their customers. Gathering the best beans from different parts of the world, they then roast them to as close to perfection as possible, making sure to garner as much flavor as they can along the way. 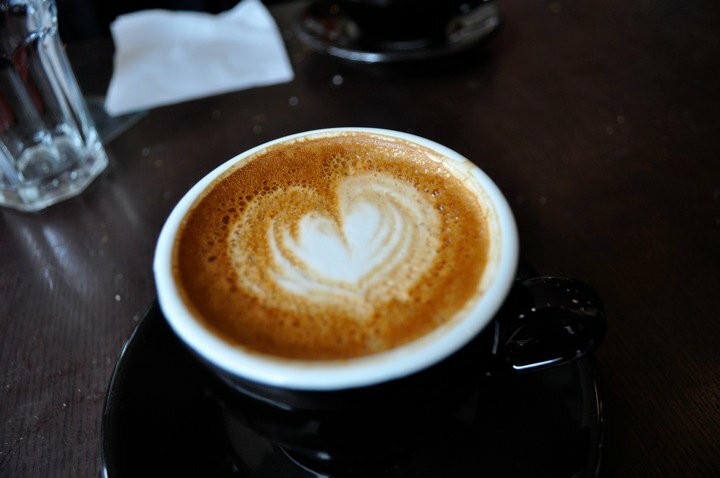 At Ascension, drinking a cup of coffee is a journey on which the passionate baristas will gladly take you. Whether it is a macchiato or cappuccino, for dinner or brunch, or for accompanying the live entertainment, you are guaranteed a good time at this staple coffee joint of the city. Everything a coffee enthusiast looks for in a café and more can be found at Mudsmith, from fresh brewed Avoca coffee to rotating beans with special varieties. If you are looking to satisfy an appetite early in the morning or during lunch, the staff here serves a wide variety of breakfast dishes too, all of which go great with that strong cup of joe. If customers are not in a rush to beat the traffic, they should definitely opt to enjoy the neighborhood with a warm cup on the patio here. Don’t just drink a cup of coffee, enjoy one of the fine creations at curiously named Stupid Good Coffee. Here, customers and their happiness are the number one priority. This small joint is the perfect place to grab a cup of joe on the way to work or when off to run errands. From the tasty snacks to the hot and cold beverages, everything is moderately priced and delicious, while the loyal following of locals makes this one seem like a sure bet to say the least. Unlike most coffee houses that originated from a simple passion for coffee, the Global Peace Factory stemmed from the mission to make the world a better place too. The staff here abide by the policy ‘the more we give, the more we prosper’, and that’s exactly what they do. Two percent of every dollar made is donated to charities that help provide shelter, clothes, food and much more to those in need. What’s more, quick meals and quick service in a warm and welcoming environment are a fine combination when supporting a good cause. Enjoy a quiet and laid-back coffee drinking atmosphere here at 1418 Coffeehouse, where customers often feel like they are sitting with pleasant cup of coffee in the comforts of their own home. The staff understand the importance of time and the rush of daily life, so there are an assortment of ‘grab and goes’ to pick up on the way to your next destination. Whether it’s a warm summer’s afternoon or a cold winter’s evening, enjoy a nice beverage with a delicious pastry. In the Old Dallas district Murray Street Coffee Shop continues to attract visitors from neighboring areas. The shop has been thriving for the past five years and the ideal location, with plenty of parking space, is perfect for the traffic that heads over there at all times of the day. All the local creative minds come here to collaborate, relax, or grab an on-the-go midday snack, so customers will meet an eclectic group of people at this joint. Grab a cup of evening coffee in the historic neighborhood of East Dallas at Method Coffee. Customers don’t have to be coffee connoisseurs to enjoy freshly brewed beverages from the finest roast beans at this place. The joint is accessible to everyone and it never gets old, while the baristas here like to try something new with their recipes. .They are always experimenting with new flavors and new combinations. Drop by the Weekend Coffee shop for a playful atmosphere that will almost make your troubles go away with just one sip of a well-crafted brew. Dedicated to perfecting the coffee sourcing process, owner Joe Cole created the concept of the Weekend Coffee, serving Seattle’s Victrola brew. The shop serves three roasts, empire blend, streamline espresso and single origin, meaning there’s always plenty to taste and sample.